This quilt is a for a friend of mine that doesn’t quilt but delights in following God’s leading of how she shows love & mercy to others. 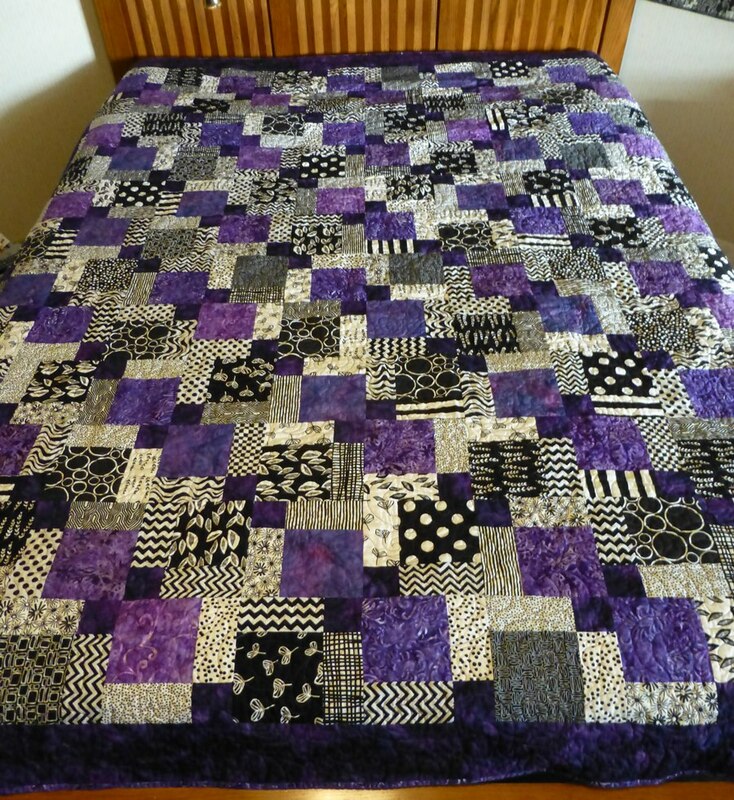 I said I wanted to make her a quilt and her only idea was that it be purple, black, and white. I was pretty sure that would be all she’d say which made me laugh when that was the reply I received back from her! I knew just what to make! 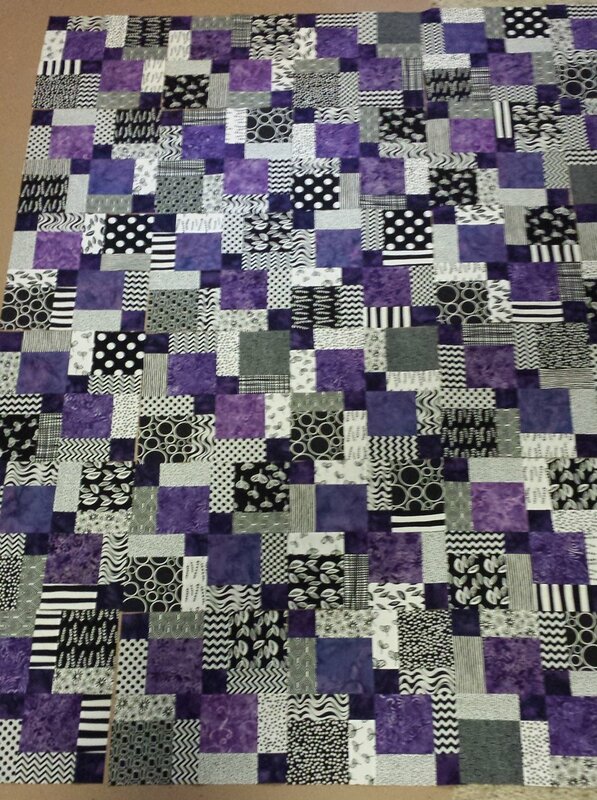 Just the blocks laid out on my floor for arranging. 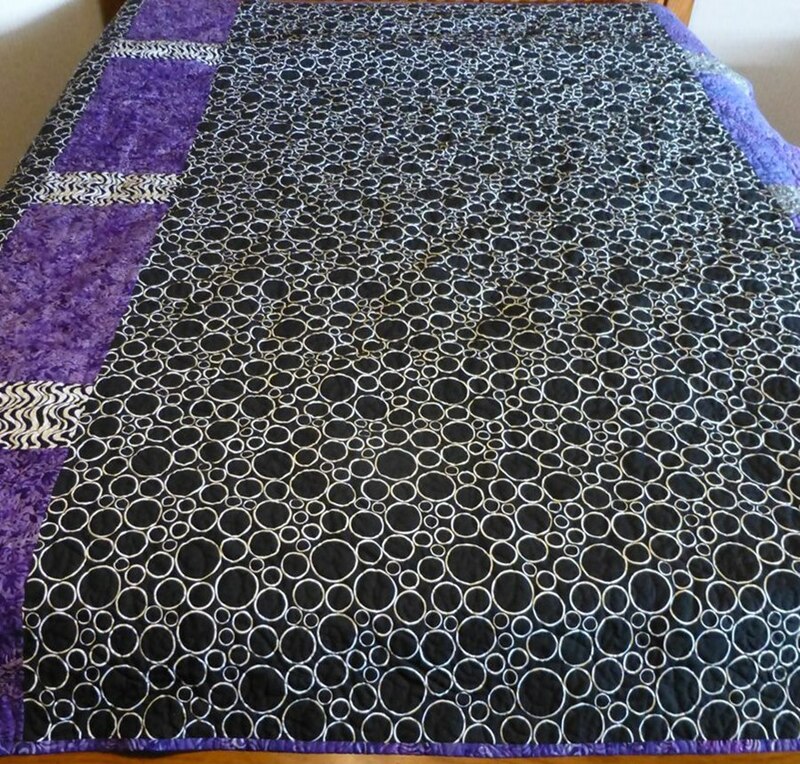 All quilted, binding on, and washed for presentation. 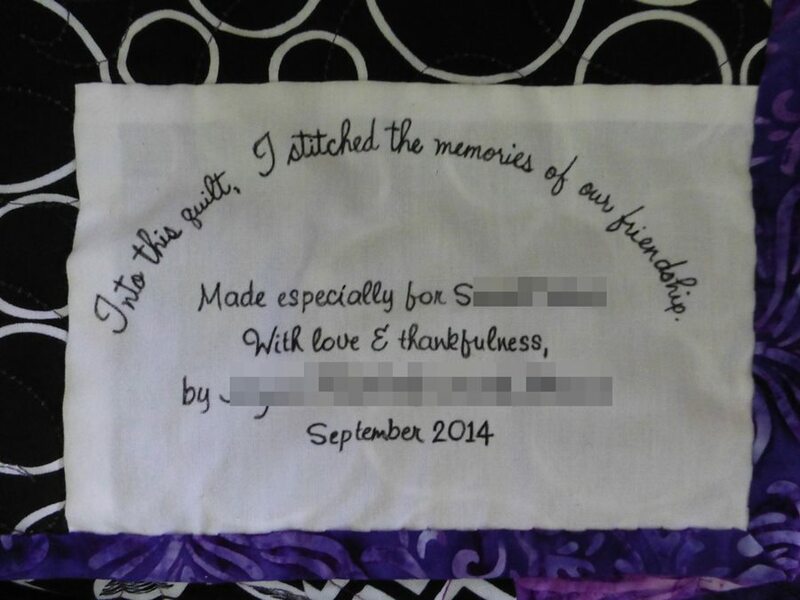 The backing is pieced too for extra fun! I think labels are super important! Sometimes I put the label on before quilting and sometimes afterwards. Your choice. 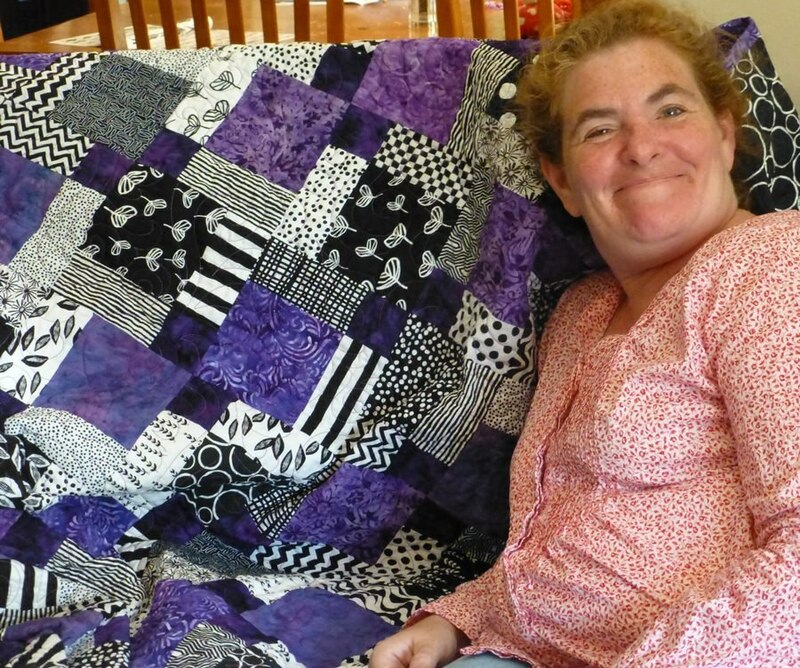 If you have it on the backing already, please be sure to alert me when you bring the quilt in for finishing. I wish I could see her more often.